Between hyper-developed hotspots, main drags in up-and-comers, and those genuinely avoidable areas, there can often be found a city’s “just-right” zones. 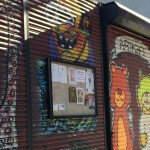 They aren’t commonly known, but these micro-neighborhoods often hide within them real estate gems coupled with perfectly offbeat vibes. 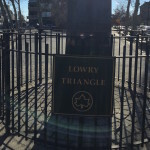 Continuing our Goldilocks Blocks series, this week we look at Lowry Triangle in Prospect Heights, Brooklyn. It’s…gritty. But it’s Prospect Heights. Anchoring an oddly magical Brooklyn crossroads where Prospect Heights, Crown Heights and Clinton Hill meet, bisected by noisy, gritty Atlantic Avenue, Lowry Triangle and its surrounding blocks form a literal mashup of three neighborhoods, all of which began hitting their gentrification strides at slightly different times. On a map it’s legitimately Prospect Heights, whose border is a block to the east at Grand Avenue. 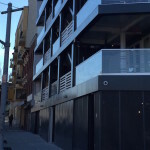 It’s a small but decidedly cool zone, open and semi-industrial, where old brick buildings share space with a growing number of sleek, modern boutique condos, compact cubes fronted by vast expanses of glass; a fascinating juxtaposition of old and new. 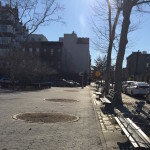 The “triangle” itself isn’t so much a very small park as a very wide intersection. 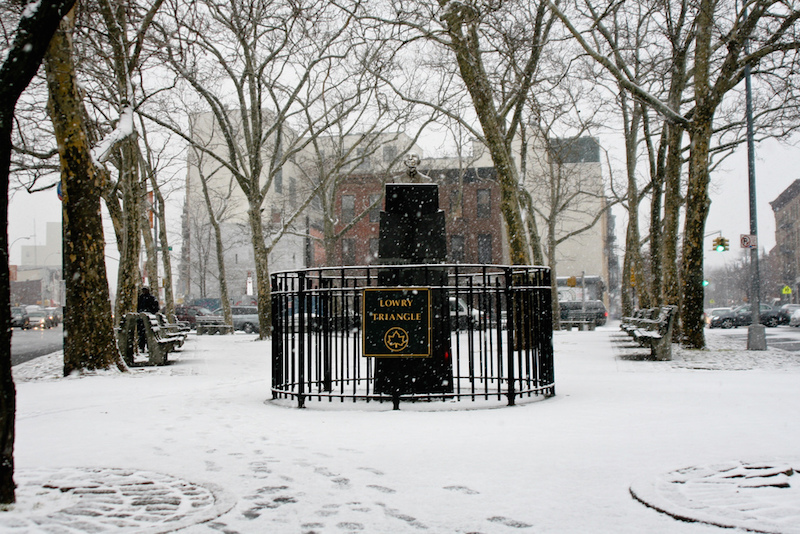 The “park” is a bricked sliver, lined with benches and presided over by a bust of the Rev. 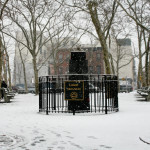 Benjamin J. Lowry, who, according to the plaque, was the long-time pastor of Zion Baptist Church located at 523 Washington Avenue in Prospect Heights. The first few times you traverse the triangle, you might not even realize it’s there; you’re trudging across it to get to one among a selection of somewheres, all of which, amazingly, are only a block or two away. 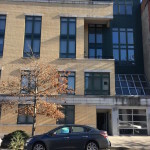 The Cathedral condo conversion at 555 Washington Avenue. 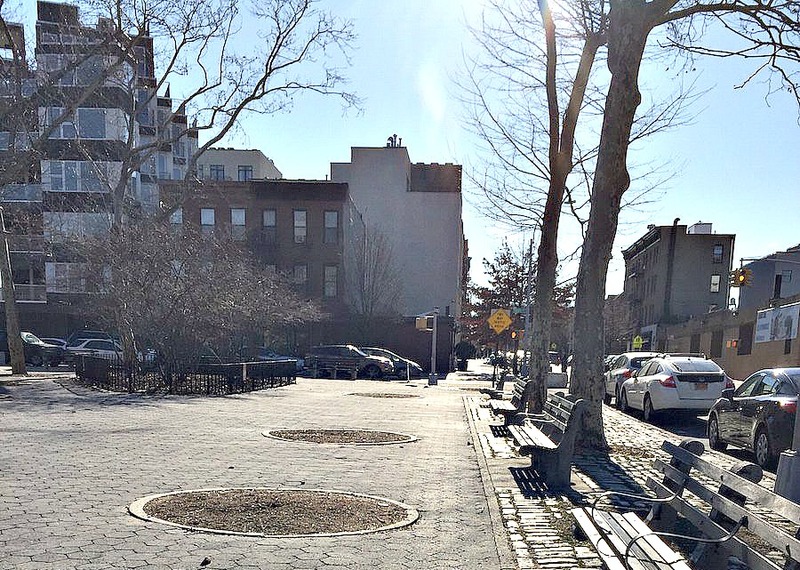 To the north lie the tree-shaded avenues of Clinton Hill (and Fort Greene just to the west); once across the broad Atlantic you’re among the discernibly quiet historic brownstone blocks. 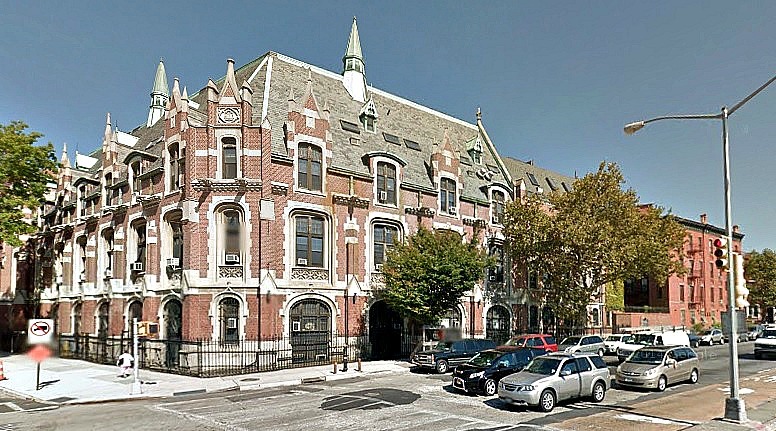 The Cathedral condominium conversion (the neo-Gothic building was built in 1918 as the Cathedral College of the Immaculate Conception) at 555 Washington Avenue at the corner of Washington and Atlantic with its ornate gargoyles is a cornerstone. Radiating from the triangle south of Atlantic, where Underhill and Washington Avenues converge, up to Dean Street, is the golden hub connecting the outer tendrils of some of west Brooklyn’s greatest (and, some would say most recently ”discovered”) neighborhoods. 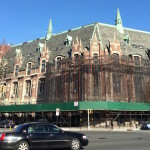 You can experience a dizzying panorama that moves from the Wild West, gold-rush density of new developments, hip-but-friendly new establishments and laid-back West Indian storefronts of Crown Heights to historic townhouse-lined, Grand Army Plaza-adjacent Prospect Heights to the aforementioned diverse genteel bohemia of Clinton Hill. 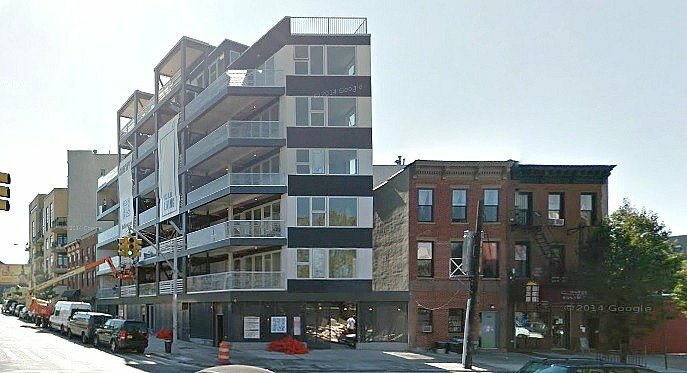 In places these blocks resemble a developer’s rendering (or Williamsburg), with glass-walled boutique buildings, clean sidewalks and cute corner bars. 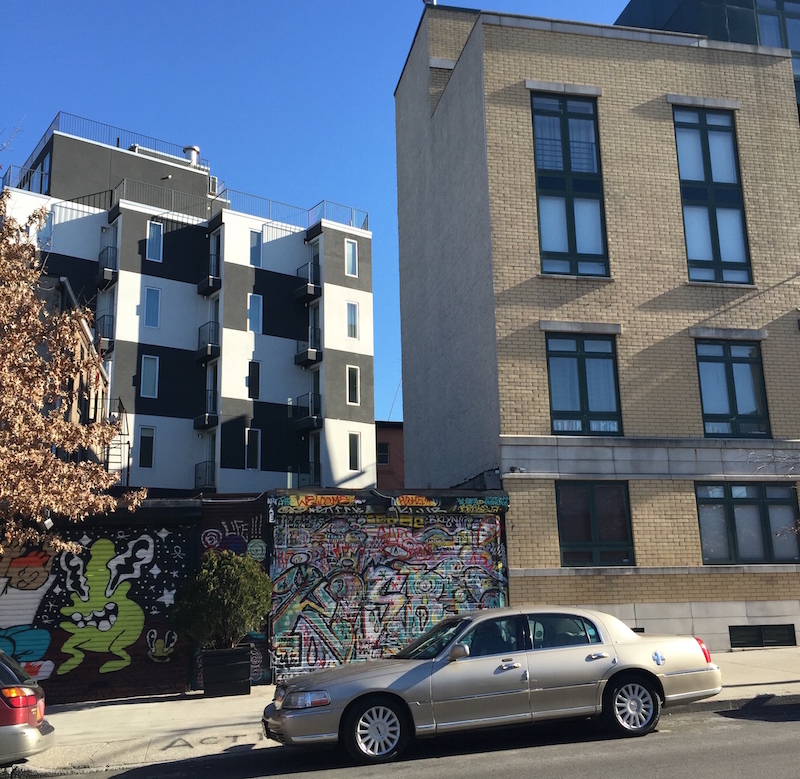 Yet a 45-degree turn reveals a Brooklyn that hasn’t changed in decades. 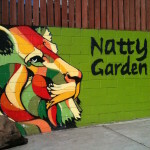 Art Cafe in Prospect Heights. 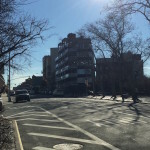 The nearby stretch of Atlantic Avenue charms no-one – the city is currently addressing the alleged problem of people getting run over trying to cross it. To one side the artfully-rusted 21st century hulk of Barclays Center rises. Weird, this new Brooklyn. And few spots are weirder – and in some ways few are more wonderful – than here. A rendering of Hello Living’s Hello Washington condos. 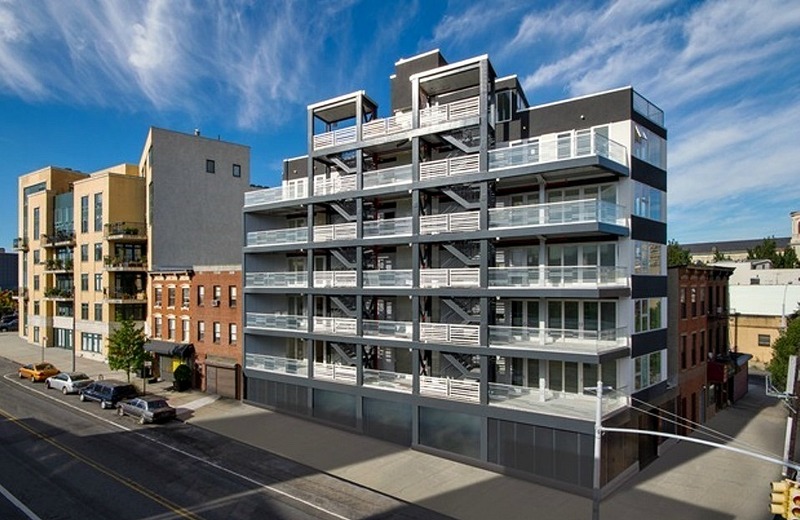 Unmissable is Hello Living’s Hello Washington at 618 Washington Avenue, the newly-minted – and sold out – condo building from the kawaii-monikered condo building franchise. 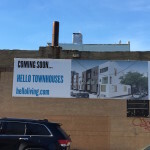 Nearby, Hello Townhouses, eight single-family townhouses (from the same developers), promise – via a sign across a low yellow brick industrial building – to appear soon at the corner of Underhill and Pacific. The Washington at 35 Underhill Avenue, in the vanguard when it was built in 2005, is a sizeable condominium residence with underground parking, balconies and impressively tall widows. 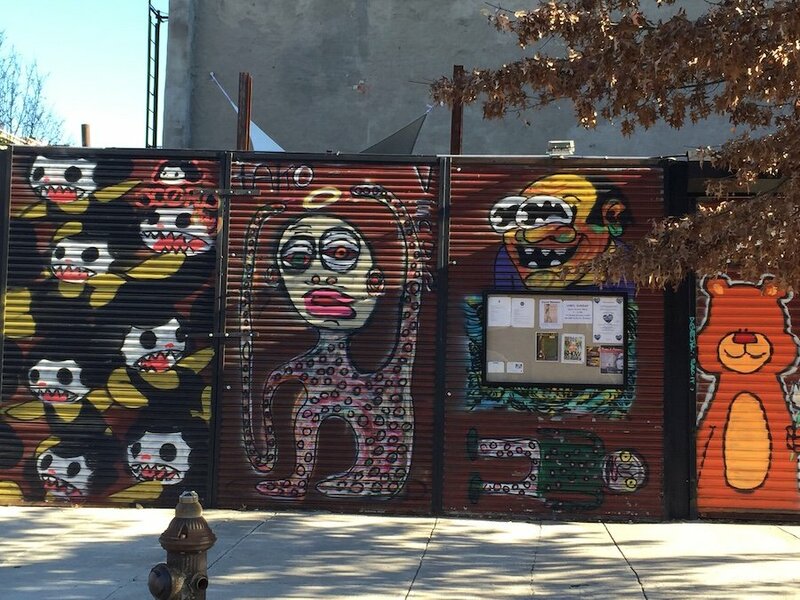 Art Café in Prospect Heights. 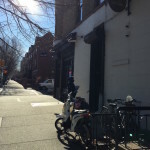 Dean Street restaurant represents the Prospect Heights side on the map, yet its gastropub ambience blends perfectly with essential new Crown Heights. 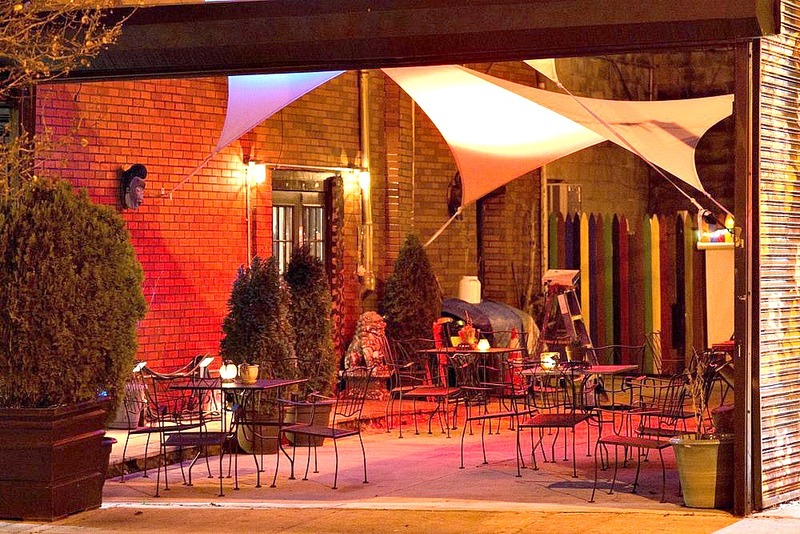 Art Café, an art gallery-café-bar-performance space that occupies a corner across from the triangle, features a colorful spray-painted mural on its front and signs advertising a full calendar of local music, art and performance events. 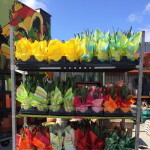 The side room of the establishment, run by textile artist and clothing designer Jimi Gureje since 2001, is open to the outdoors in warm weather. 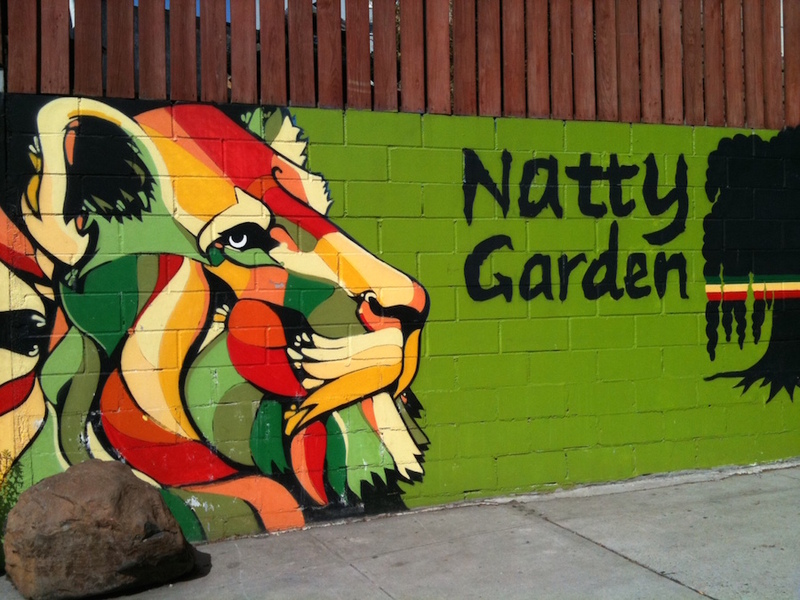 There’s the colorful Natty Garden plant store; it’s been here for years, but somehow it seems remarkable that the neighborhood has spared a pair of sizeable empty lots for storing bags of topsoil. 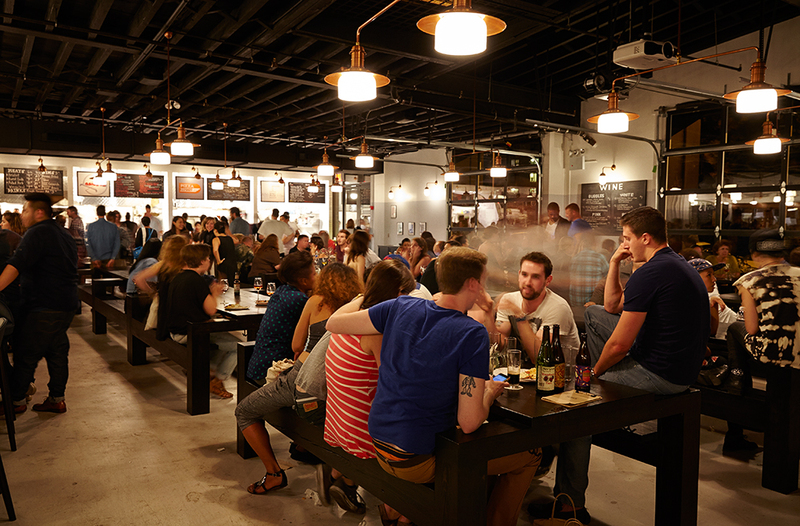 Next door, the Prospect Heights Beer Works would be right at home in Greenpoint, Gowanus, or any place with a certain civilized pioneer spirit. Image: Betty Tsang via flickr. 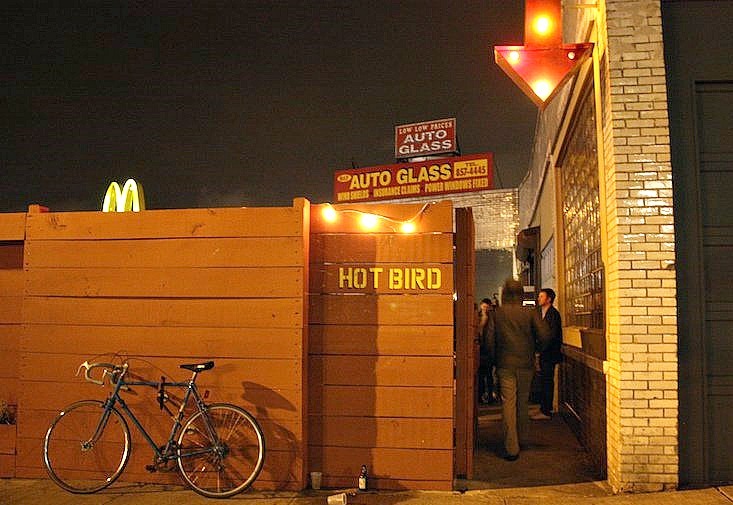 Across Atlantic on the Clinton Hill side, popular destination bar Hot Bird is tucked into a former auto-body shop; its fringe location among the area’s remaining tire and muffler shops works to its advantage, giving it cool-garage cachet. Just up this leafy block of Clinton Avenue, a historic four-story white-stone townhouse at number 507, renovated by the principals of WeDesign, sold for $2.9 million in 2014. Vibe: The first few times you cross Lowry Triangle will probably involve just getting from one neighborhood to the adjacent one. At some point you’ll notice, “hey, there’s something really cool about this area–I could live here.” Then you look around and see the dizzying number options for doing just that. 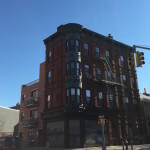 Old brick row house, the perfect fixer upper? Pristine glass-walled duplex in a modern boutique apartment? 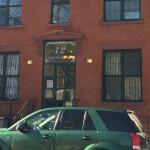 Big two bedroom with a deck in a new-ish building with parking in the basement? Converted warehouse? Gracious historic pre-war converted church? 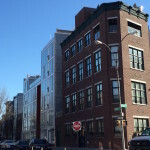 Pricy new-construction townhouse? You can see them all from where you’re standing. Drawbacks: It’s neither fish nor fowl, though in the shadow of both, so if you crave the iconic heart of any of the adjacent neighborhoods–a Clinton Hill or Prospect Heights brownstone on a quiet historic block, a classic co-op overlooking Grand Army Plaza, or a hip Crown Heights apartment for a (still somewhat lower) Crown Heights price, you’ll have to walk a few blocks in one or another direction. Atlantic Avenue isn’t going to get any prettier or any quieter. And you have to cross it to get to the closest subway (which, to be fair, is pretty close). And, of course, Pacific Park, the multi-ring circus formerly known as Atlantic Yards, is, along with so much else, going to be just a stone’s throw away. Someday.